Australian Shepherds are an active breed and need a job. Well not a real job but they need something to do. If you don't have a farm with acres to run and livestock to herd (which most of us don't nowadays) we need to keep them busy. Below are a few of the many things you can participate in and have fun together at the same time. 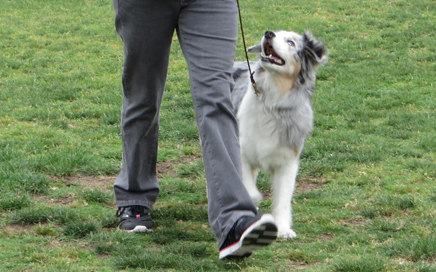 Some of the activities you can participate in are Herding, Agility, Obedience, and Therapy. You might also join an Australian Shepherd Club in your area for sanctioned activities. The vast majority of Herding dogs, as household pets, never cross paths with a farm animal. Nevertheless, pure instinct prompts many of these dogs to gently herd their owners, especially the children of the family. 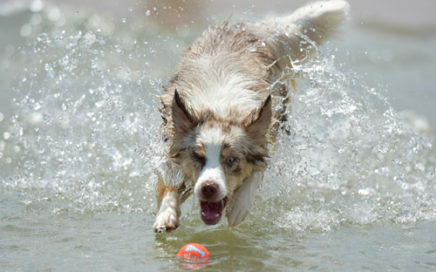 To have an outlet for these instincts there are facilities that you can take your Aussie to learn and practice herding. This is a great way to exercise your house pet in these urban areas and see if your Aussie has the drive and ability to herd. 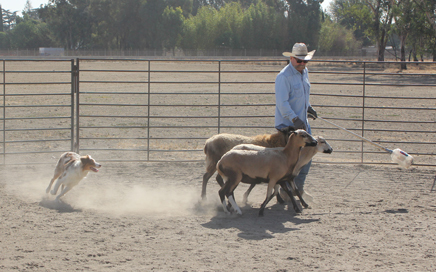 First step is to take a herding instinct test with a qualified trainer to see how your Aussie does with livestock. They will be able to tell if your Aussie has the natural ability to herd. Then they will be taught to herd correctly and not just to "chase". Go here to find a herding trainer or facility and see if your Aussie has what it takes! You or your Aussie will not regret it. Is your Aussie a fast four legged rocket? Most Aussies are very good at agility and do well in competition. Just tune into or visit your favorite agility competition show, chances are that you will see an Australian Shepherd. Their medium size and their fast agile build makes them a great agility dog. 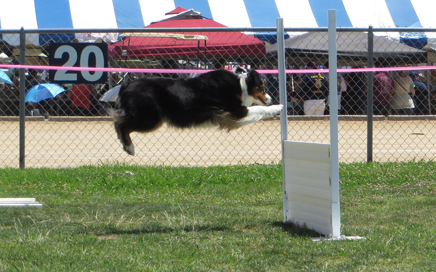 Agility consists of a set of obstacles that you will guide your Aussie through as fast as possible. Some of these obstacles include jumps, tunnels, V-shaped ramps, weave poles, and teeter totter ramps among others. Here are a few valuable agility related links to check out: NADAC AGILITY - USDAA AGILITY - AKC AGILITY - CLEAN RUN. Also check out our Trainers, Classes, and Clubs section. Obedience is something that every dog needs to learn as basic skills. From how to walk next to you and not pull, impulse control, and basic manners, to useful/necessary tricks such as sitting, laying down, and coming when called. Obedience can also get recognized as you can earn certificates from AKC for various levels of Good Citizen. No dog is too old for training so get started today. Want to take it to the next level? You can compete in obedience competitions. Obedience trials showcase dogs that have been trained and conditioned to behave well at home, in public places, and in the presence of other dogs as well as earn titles in obedience. Visit our List of Trainers page to to find a trainer in your area to get started. Click here to learn more about Rally. Aussies make great therapy dogs. If you find your Aussie has the temperament, you might consider taking specialized training and having your Aussie be a therapy dog. 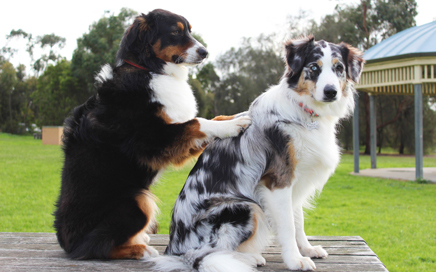 Like the picture to the left shows, therapy dogs don't give massages like that, but wouldn't that be nice? Therapy dogs actually provide affection and comfort to people in hospitals, retirement homes, nursing homes, schools, hospices, disaster areas, airports, detention facilities, and to people with autism. Check out our List of Trainers page or search your local area and see if you might find special classes for therapy dog training. 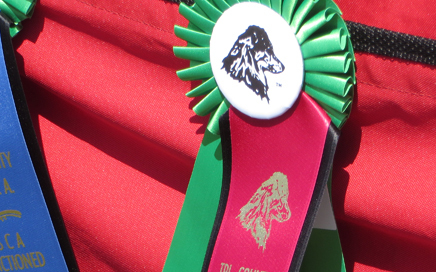 Australian Shepherd Clubs are organized groups that plan and hold sanctioned obedience trials, herding trails, agility trials, and conformation shows. They are a great way for you to get out with your Aussie while meeting friends and also get into competition if you desire. Whatever your skill level is, or your level of participation, you will find a place to meet fellow Aussie owners and enjoy your Aussies and their unique abilities as well as get much needed exercise. Aussie Clubs also could use your volunteer help at events so contact your local or favorite club, sign up, and find out how to get involved! Click here for a list of Australian Shepherd Clubs in California. Information provided by Australian Shepherd Club of America.